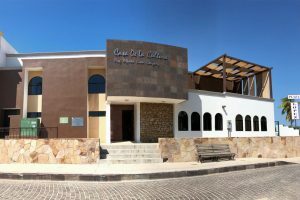 The San Jose del Cabo Art Walk is a popular weekly event held every Thursday evening from 5pm to 9pm between the months of November and June. This event was established, promoted, and organized by the Gallery District Association in the hopes of drawing art lovers and tourists away from the Main Square (Plaza Mijares) and into our color-filled back streets located behind the church. 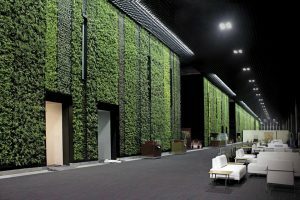 Designed to host global leaders at a G20 summit held in 2012, the Los Cabos Convention Center in Baja California now lies forgotten and neglected, yet another testament to wasteful projects. Note: This property is currently not in use. Protected estuary and wild life preserve. 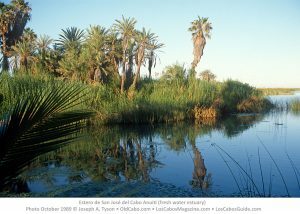 The San José del Cabo Estuary, located in the southern end of Baja California Sur is a freshwater wetland of great importance for migratory and shorebirds due to the scarcity of bodies of water in the Baja California Peninsula. Flora Farm is a 10-acre organic farm located in the foothills of the Sierra de la Laguna, just outside San José del Cabo. Best known for its superb onsite restaurant, Flora’s Field Kitchen. 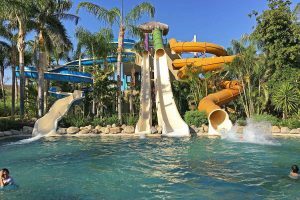 The property also offers 10 residential culinary cottages, as well as a grocery, shops, and swimming pool. In addition to its permanent fixtures, Flora Farms hosts tours, gives popular cooking classes, and welcomes local and visiting kids for fun and educational summer camps. 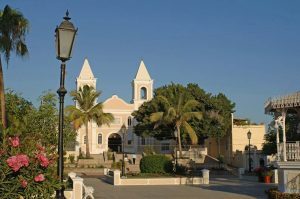 The Mission San Jose del Cabo Añuití, or Iglesia Católica San José del Cabo, was the southernmost of the missions Jesuit established during the colonial period of the history of Mexico in the territory of the Old California – corresponding to the state of Baja California Sur. Blvd. Mijares No. 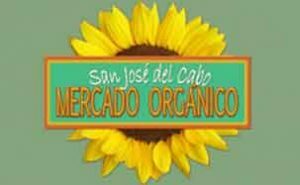 1433 Col. Centro, CP 23400, San Jose del Cabo, Baja California Sur, Mexico.Address: Centro, San José del Cabo, Baja California Sur, Hours: Open today · 8AM–6PM. 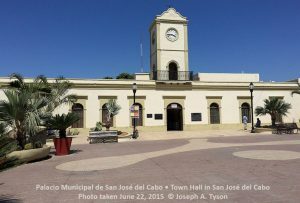 The Municipal Building or Town Hall of San José del Cabo. El Ayuntamiento, calle Miguel Hidalgo en el centro de San José del Cabo. Experience Troon Golf at Palmilla Golf Club, the first Jack Nicklaus Signature Course design in Latin America, boasting three 9-hole courses: the Mountain, the Ocean, and the Arroyo. Pick two of them for an 18-hole round with spectacular views of the Sea of Cortez on every hole. 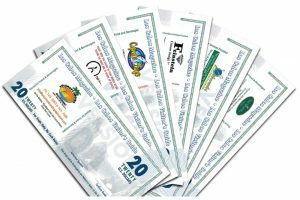 The day at Palmilla Golf Course includes greens fee, golf cart, access to the practice range and bottled water. 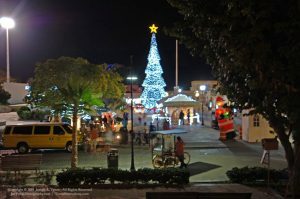 San Jose del Cabo Mijares Square, known as La Plaza by locals, is a popular gathering point for residents and tourists. Located in the heart of the town’s Historic District, The Plaza Mijares square is surrounded by historic buildings like the City Hall, San Jose Church and the Casa de La Cultura; full of not to be missed spots such as the Kiosk, the Flagpole and the Jardin de Cabeños Ilustres and circled by restaurants and stores. Calle Boulevard Antonio Mijares, Centro, San José del Cabo, B.C.S. 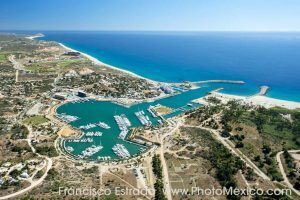 Ope ned in 2007 and tucked within a 2,000-acre master-planned resort community on the East Cape, a short 10-minute drive from the historic downtown area of San Jose del Cabo, Puerto Los Cabos features a rare composite design by two of the sport’s most legendary figures. The club features two distinctive nines designed by Greg Norman and Jack Nicklaus. 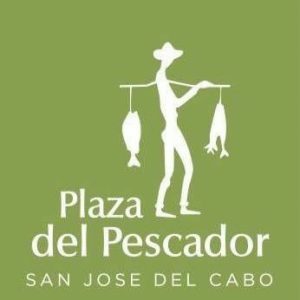 For the sixth consecutive year, SAN JOSE JAZZ WEEKEND took place on February 16 and 17, 2018, from 5:00 to 11:00 p.m. at Plaza del Pescador on Paseo San Jose in San Jose del Cabo. 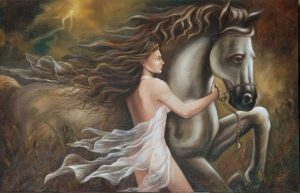 This popular event features local, national and international artists. 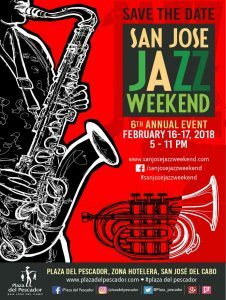 Over the past years, San Jose Jazz Weekend has received more than five thousand attendees with both visitors and locals enjoying a family atmosphere along with the pleasures of the plaza’s restaurants, bars and shops. 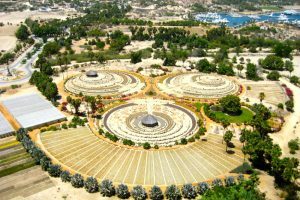 Puerto Los Cabos, San José del Cabo, is home to Wirikuta Botanical Garden, a 12-acre park designed with thousands of cacti and succulent plants from deserts from around the world. The Sculpture Garden has a collection of monumental art by some of Mexico’s most famous living artists. Located in an ocean cove, the Dolphin Discovery has friendly dolphins living in a natural habitat where guests may take part in their dolphin program.